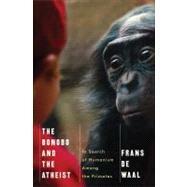 In this thoroughly engaging book, leading primatologist and thinker Frans de Waal offers a heartening, illuminating new perspective on human nature. Bringing together his pioneering research on primate behavior, the latest findings in evolutionary biology, and insights from moral philosophy, de Waal explains that we don't need the specters of God or the law in order to act morally. Instead, our moral nature stems from our biology-specifically, our primate social emotions, which include empathy, reciprocity, and fairness. We can glimpse this in the behavior of our closest relatives in the animal kingdom: chimpanzees soothe distressed neighbors, and bonobos will voluntarily open a door to offer a companion access to their own food. Building on a wealth of evidence, de Waal reveals that morality is not dictated to us by religion or social strictures. Rather, it is the inevitable product of our biological nature.